Pottery Mark Query - Crown above "M" overlaying "O" in a circle with the word "FOREIGN" underneath:- Hi there, I have been trying to find out further information regarding this figurine that has been sat on my display shelf for some time now. When I was dusting it earlier, the green maize protective base fell off, and revealed the pottery mark as mentioned above which I am having difficulty in finding any further information on. As well as the markings detailed above, and shown in the picture, the numbers 7213 appear to be imprinted on the base. 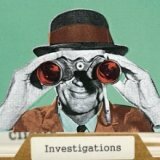 I stumbled across your site so wondered if anyone here would know a little more and be kind enough to share. Nice query on "Pottery Mark Query - Crown above "M" overlaying "O" in a circle with the word "FOREIGN" underneath". This is interesting. Looks suspiciously East German to me. Why? Too good modeling to be Far East, which is generally pants (no offence) .... I think it may have started out life as an inexpensive trinket rather than premium - but could be wrong because the sculpt is good quality. However, it may have an interesting story to tell about a period in history and may have a value. Maybe someone who knows will see this and shed some light. I found the answer while doing a special search on ebay (the same system I talk about in this page - China Replacement and research. same M O mark but with "Germany" under instead of "foreign"
i have a horse figurine that has the Crown above the M inside the O. Belonged to my grandmother, and maybe her mother. It also says Germany on it. I have no idea of its origins or if it has any value. Anyone have any thoughts? Thank you! Peter (admin) says:- At least this post confirms 'Germany' - this was just a guess by me as the original mark just said 'foreign'. One small step nearer to finding who the maker actually is. M O Pottery Mark Answer. The maker can be revealed as Metzler & Ortloff (1875 to 1972) of Ilmenau, Thuringia, Germany. This mark looks to be one of the standard export marks used from around 1923. I found the answer while doing a special search on ebay (the same system I talk about in this page - China Replacement research). Although this maker was in fact in my Kovels dictionary of mark (p 99) I somehow managed to miss it. However, my excuse is there are over 40 pages of circle marks, and I have to get some sculpting done sometime! The interesting thing for me about this query is from the outset I thought the sculpting was of good quality and looked better than most Far East modeling - so almost had to be German (it didn't have an English look to it). The other thing was how much the style and glaze finish looked like Lladdro to my eye. Lladro is a newish company only being founded in Spain in the 1950's, so my question was who copied who. Far East makers do copy Lladro, but likely if it was a German maker Lladro must have been influenced by this older maker. So, in my mind, I would say that this company is important in that it may have had an influence on the styling of hugely successful maker Lladro. They may disagree and say this is all just co-incidence. 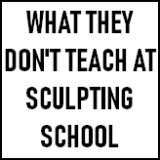 "Quite a few well known sculptors worked for 'Metzler & Ortloff' or had their items produced there, for example Paul Wynand and the specialist for animal figures Paul Zeiler. Numerous figures were designed by Siegismund Wernekinck who also worked for the company of Galluba & Hoffmann." So for my money, Metzler & Ortloff are a quality maker and rare, so in my mind should be very collectible. I would bare this in mind whist doing my bumbling around buying and selling bits and bobs of old china! Peter, mine is the horse or donkey that has the Metzler and Ortloff mark on it, along with the word "germany". I have been looking and looking for days now, and I believe it to be a porcelain with blue glaze by Walter Bosse. Even though it is porcelain, it has the very distinct head shape that is on his brass and bronze pieces. It does have a problem however; the one raised leg has been broken, and probably my grandmother is the one who tried to glue it back on. There is still a tiny piece missing and a crack. If I were to have it professionally repaired (where in the world does one find someone to do that?) would it really lower the value of it? And if, in fact it is a Walter Bosse, how do I find the value of it? Good detective work! Could well be Bosse - he did over 8000 sculpts for various German companies over that period of the 20th Century. His worked developed to be very individual, quirky, distinctive and recognizable too. I can put people in touch with valuers. Just go here to the vintage and antique china values page. Metzler & Ortloff has become famous for their "comical" figurines. Many of them were designed and produced from 1927 to 1930 in an excellent quality. You can find a few Japanese copy, but they are in a lower quality. If the figurines were exported from Germany, they had the mark "GERMANY" - but "FOREIGN" for the UK. You can find nearly 700 different "comical" M&O pieces. 50% were designed by Walter Bosse - others by Miss Hoffmann. There are some original documents (sketch books, book with model numbers) from the M&O company, but there are no informations about the quantities that were procuced. Your Horse (with five blue flowers) is hard to find. I guess you have to pay about $600 for an undamaged piece - with the broken leg about $400. What great information. Thanks to all of you, I was able to identify a comical and cute dog I recently purchased at at a consignment shop. I had no idea about what it was...only that I liked it! Rainer, the dog is # 5218-2 in your Flickr photos. Can you give me some idea of its value? I would really appreciate it. 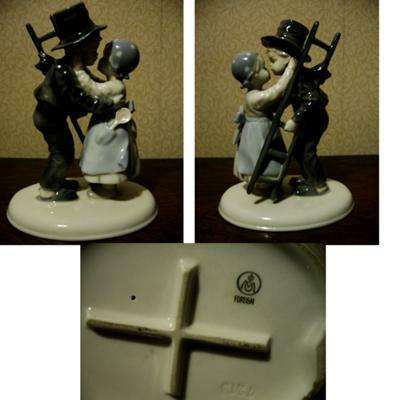 I have been looking for years trying to identify where my figurine originated. I received mine when my aunt passed away years ago. I have a figurine of a small boy holding a stick and walking with 4 geese. It is beautiful and resembles lladro. How can I find additional information? 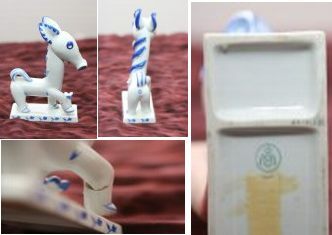 I have Walter Bosse's little porcelain "comical cat" 5076, made by Metzler & Ortloff. Can anyone tell me the approximate value? I have a little figurine blues and gray with the M overlay O and Crown over it with GERMANY under it. Dann anyone tell me what this may be worth? 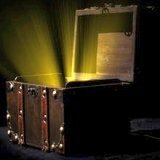 As you may know I preach not to discuss values in the identification forums as we deal with this tender subject elsewhere on the site. However, yours is a very good submission to explain exactly why we have this policy - and I truly understand where you are coming from in wanting to know the worth of your piece so as not to 'give it away' on eBay. So here's the thing. In my view, Metzler & Ortloff pieces are far far nicer than Lladro. They are better sculpted, nicer colours, they by far pre-date the sickly Lladro pieces (just my opinion - not a fan! ), which only began in the 1950's and were clearly very similar to M & O originals. However, Lladro is worth far more than M & O at auction, due to their marketing, distribution and notoriety. Therefore lovely M & O pieces get passed over every day, or get sold for only a few pounds. Does this mean they are worth less? Not in my view. However, an item is only worth what someone is willing to pay. The sad fact is people collect Lladro (because they have heard of it, and know it is expensive), but not many people have heard of, or collect M & O. The Metzler & Ortloff animals tend to do better than the children studies, especially the dogs which are lush. I saw a large M&O polar bear sell for just under £300, so there does seem to be more of a market for animal, rather then the beautiful children studies. In a couple of years, tastes may change, people might go onto collecting Metzler & Ortloff kids in favour of Lladro kids. The market picks up and suddenly, had I told you your piece was worth only £2.50, it would now be worth £250 and my comment would still be sitting here giving the wrong price. Hope this explains it OK. I have an small hedgehog with the M with the overlay O and the crown on top. However this piece is in red ink with no circle. I appreciate any help you can provide. Hi, while researching a piece I have I came across this site, it seem's metzler & ortloff where bought by another company, the site is in German but google translate really help's. I have a small approx. 3 inches high of a mother and child. The markings on the bottom is a crown with m&o beneath it and the word germany. Would like to know it's value and is there a market for selling it. Thank you.